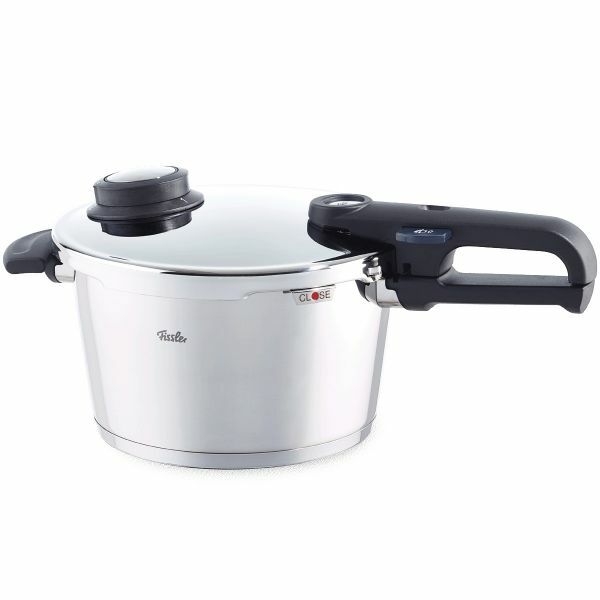 Exclusive features such as the safety loop handle make Fissler vitavit® premium a special kind of pressure cooker. Thanks to its practical accessories, there is no limit to the delicious, vitamin-saving dishes you can cook on any type of stove, from gas to induction. 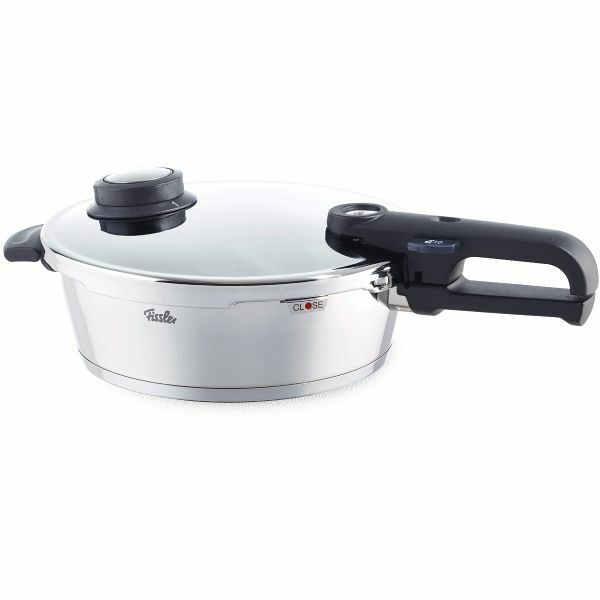 For example, you can use the steamer inset not only to perfectly cook entire main courses, but also to prepare side dishes, desserts, and cakes. 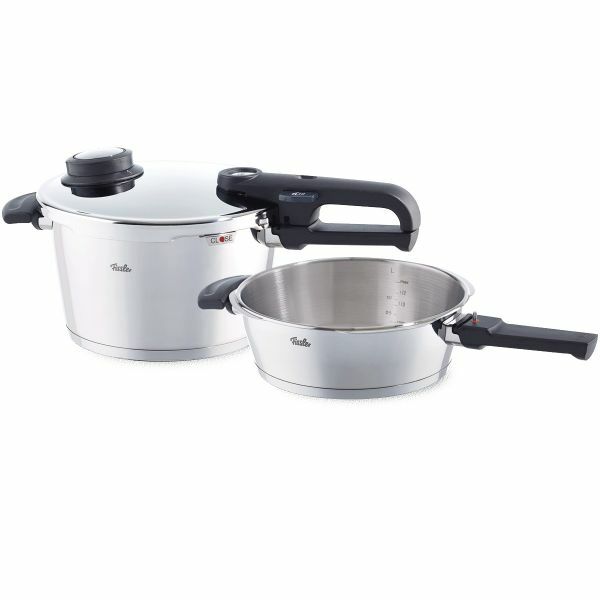 vitavit premium pressure cooker 2-piece set 22 cm / 6,0 + 2,5 ltr. 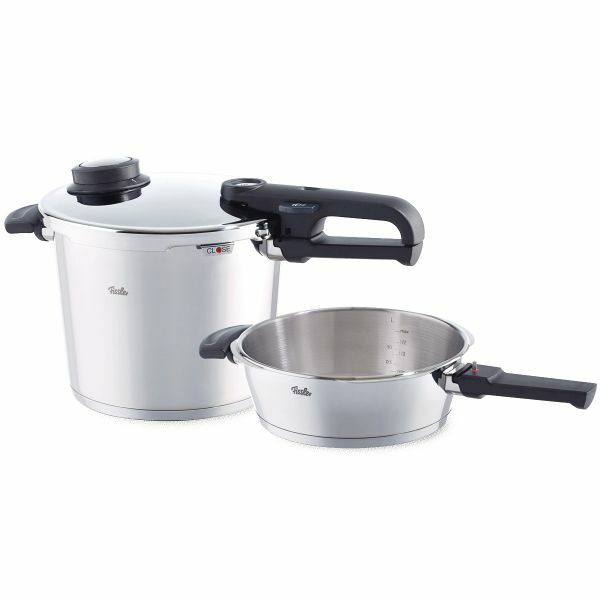 vitavit premium pressure cooker 2-piece set 22 cm / 4,5 + 2,5 ltr.